Drivers Education is just around the corner. If you have not already paid the $180.00 fee for driver’s education, it is due on or before Monday, April 15th, 2019. The Hiawatha High School office is open from 7:00 am to 4:30 pm, Monday through Friday, if you would like to bring in the fees, or you can mail payment to the Hiawatha High School, 600 Red Hawk Drive, Hiawatha, KS 66434. The course consists of two parts, on-line classroom and behind-the wheel driving. 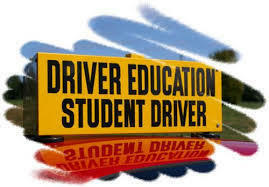 Driver Education Final Test will be Wednesday, May 22nd, 2019 starting at 1:00 pm running through approximately 3:00 pm. SESSION #1 driving will begin at 7:00 am on Monday, July 29th with SESSION #2 beginning on Monday, August 5th at 7:00 am. Students and a parent/guardian will complete the required driving forms, develop a driving schedule with the instructor, and have the opportunity to have questions answered. * Parent needs to have with them their driver’s license and another form of proof of address for child. The behind-the-wheel driving will consist of a minimum of four hours and start on July 29, 2019. Mr. Melvin Baker will schedule your driving times once enrollment is complete. When you achieve the required maneuvers for a lesson, you will move on to the next lesson until all driving competencies are met. The duration of a driving lesson will be determined by Mr. Baker. A typical lesson is 30-60 minutes. If you have an appointment during the time of a scheduled drive, please notify Mr. Baker several days in advance.